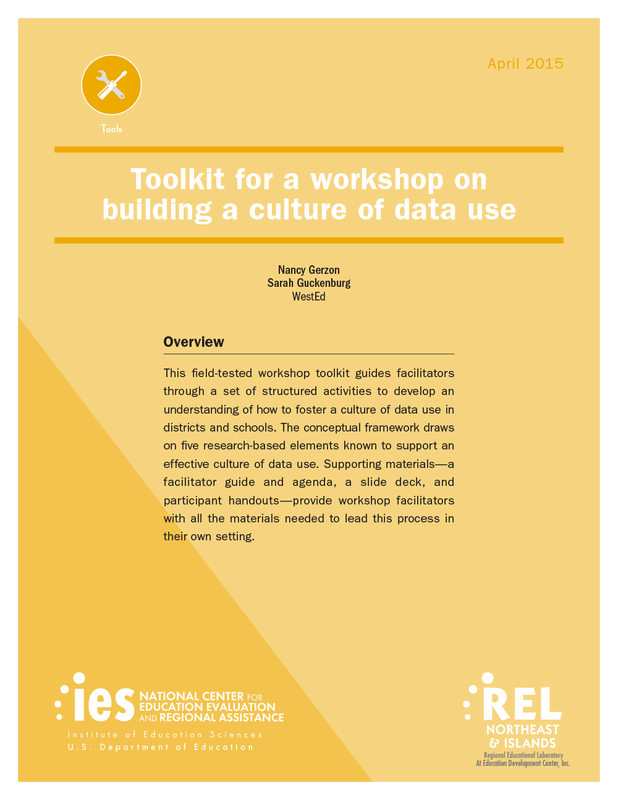 This field-tested workshop toolkit guides facilitators through a set of structured activities to develop an understanding of how to foster a culture of data use in districts and schools. This guide enables a facilitator to present a conceptual framework aligned with these five elements. It also offers professional development materials to support district and school leaders in engaging their administrators, teacher leaders, and data team members to explore how to establish, maintain, and nurture a culture of data use. Included are an agenda for a one-day professional development session (or a series of shorter sessions), guiding ideas to scaffold participant learning, and suggestions for participant activities. The handouts offer research reviews, vignettes, tools, and resources that highlight effective practices in each of the five framework elements. 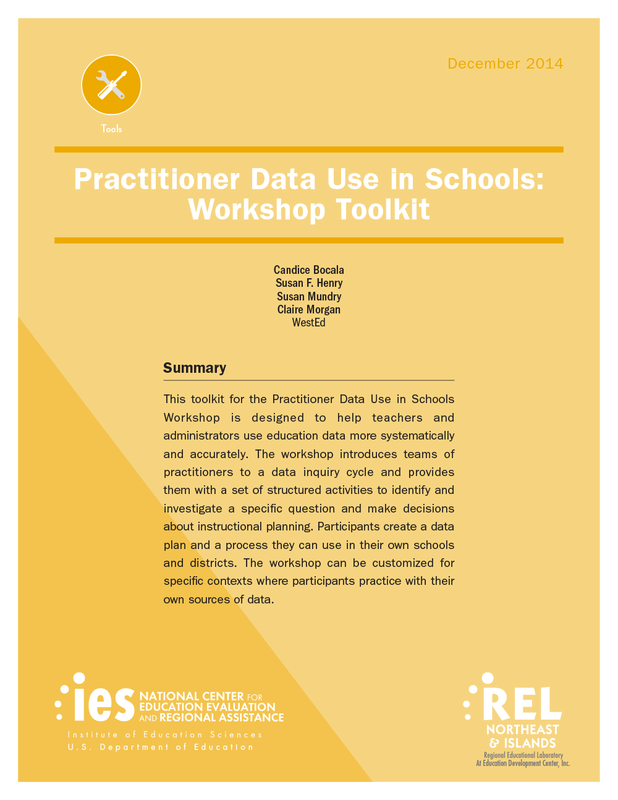 This free toolkit shows how to conduct workshops on data inquiry and data use with school-based educators.